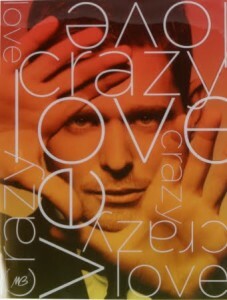 * Michael Buble has revealed an exclusive fan edition of his album ‘Crazy Love’. The disc will be available exclusively from his official website, with details in a dramatic advertorial HERE. * The Rogue Traders have postponed their forthcoming concert at Sydney’s Lyric Theatre on April 10. James and Mindy broke the news via their forum last night, adding that more work still needs to be done on their forthcoming album ‘Night Of The Living Drums’. They’ve said, however, that a full tour will happen, beginning on August 20. * Australia’s Got Talent crooner Mark Vincent has a new album ready just in time for Mother’s Day. It’s called ‘Compass’ and will be released by Sony Music on April 16. * Katie Melua will release her brand new album ‘The House’ in Australia on May 28. The singer, famous for her very downtempo back catalogue, will surprise many with the new material, which has been produced by William Orbit. She’s also worked with Guy Chambers and Rick Nowels on the LP, with the first single ‘The Flood’ due at radio shortly. * Inertia’s sent us through their latest release schedule, and in addition to the new Sia album, scheduled for a June 4 release, it also reveals Tracey Thorn’s new album ‘Love And It’s Opposite’ will also get a local release – May 14. * Alesha Dixon has revealed she’s hard at work on a brand new album, once again enlisting the services of the all-conquering Xenomania team to help in it’s creation. * It’s been rumoured the new Sugababes album ‘Sweet 7’ will drop out of the top 30 in the UK this week, just two weeks after it’s retail release. It’s also been reported that the band has been dropped by their US record label. * And the Glee Madonna EP seems to have disappeared in physical form from this week’s Sony Music release schedule. Weird, I bought the Crazy Love deluxe book edition in October of 2009, it’s been available from his site for a while, maybe they have manufactured too many and need to promote it again? Shame about the Crazy Love release being a Website Exclusive, but hay – What can you do?